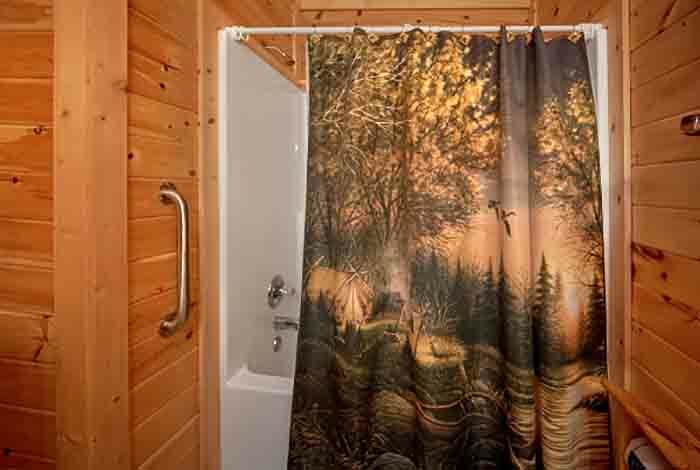 Feel rejuvenated and get away from home and spend some time at Bear Country. 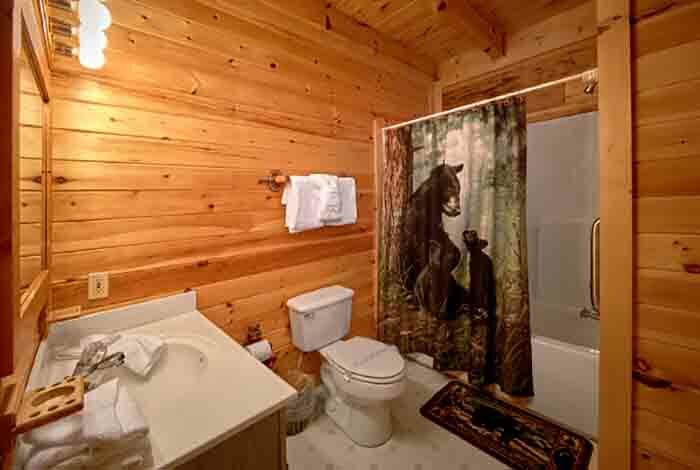 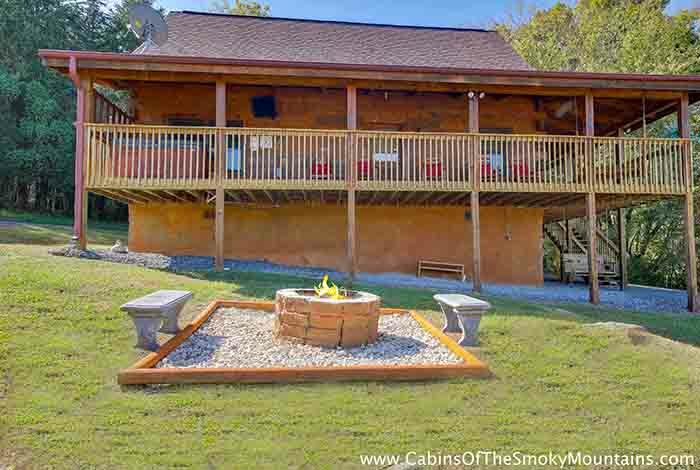 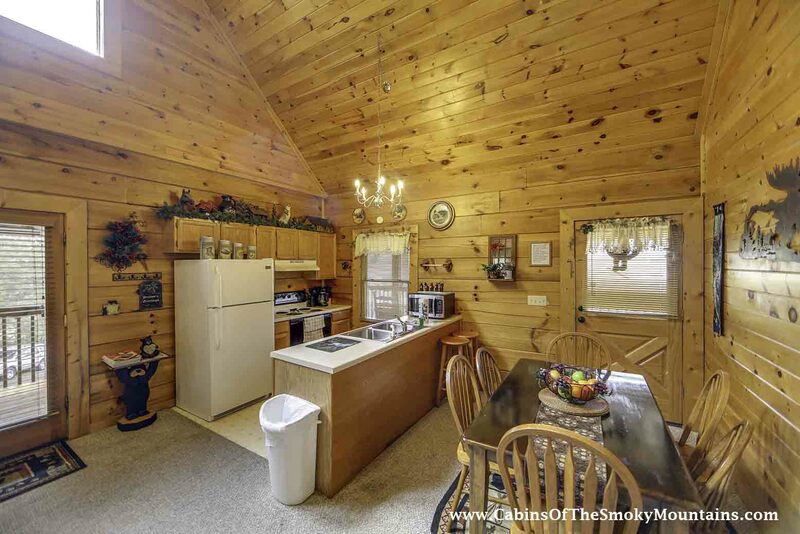 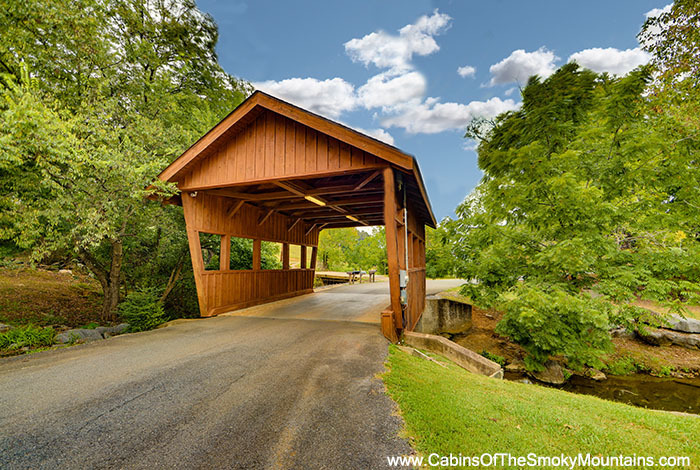 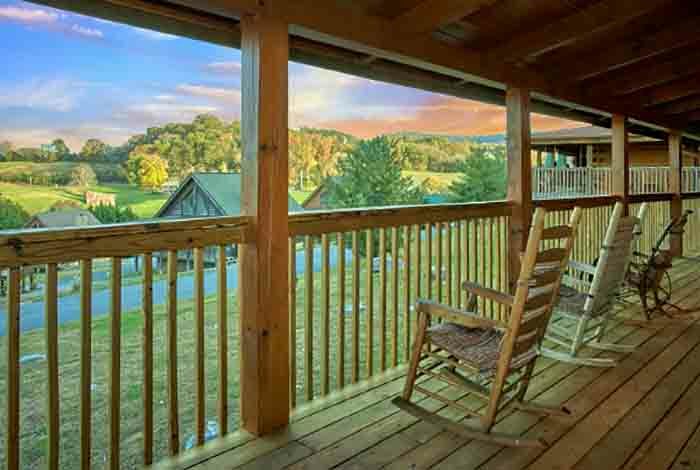 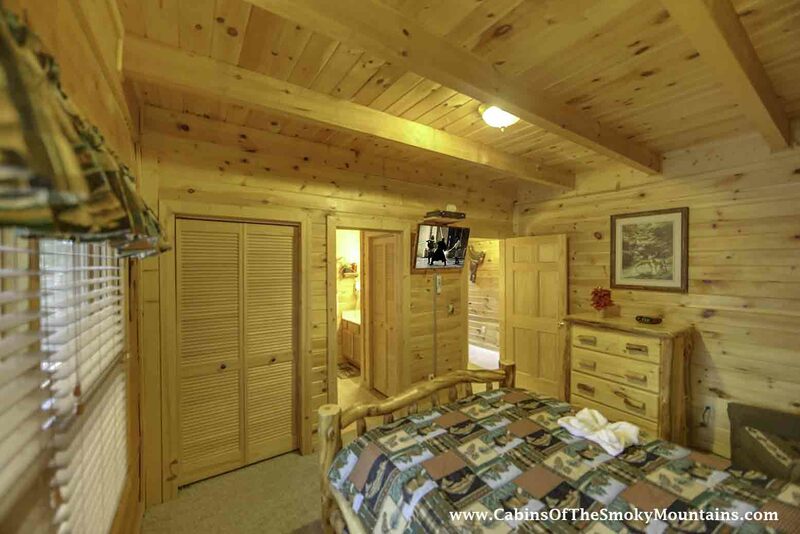 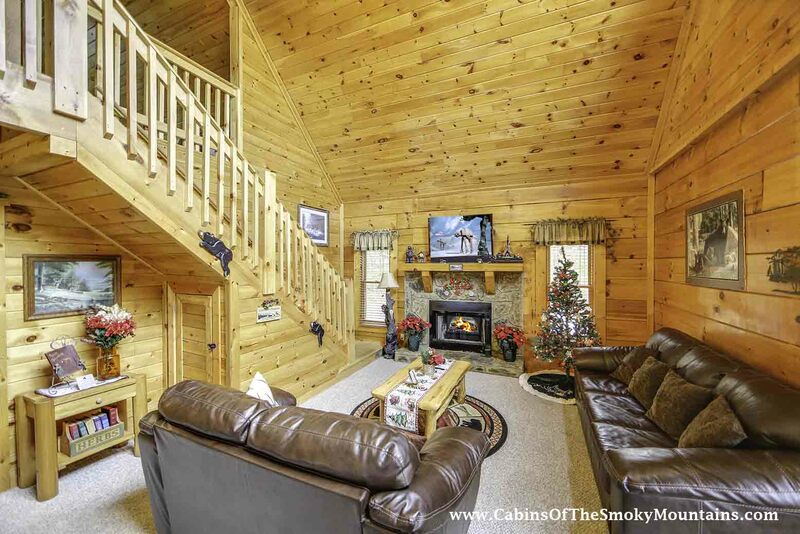 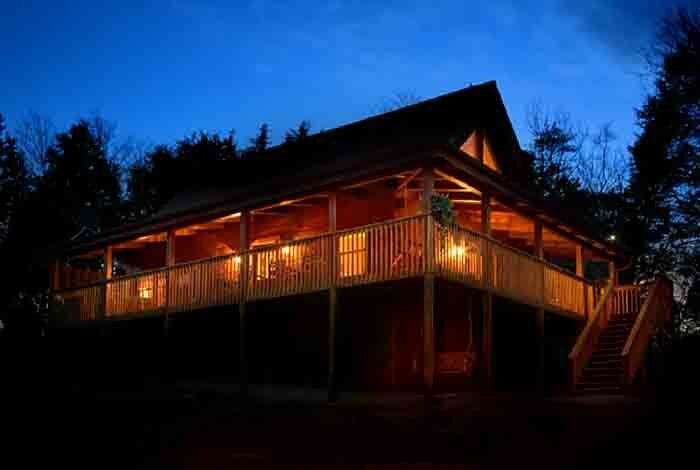 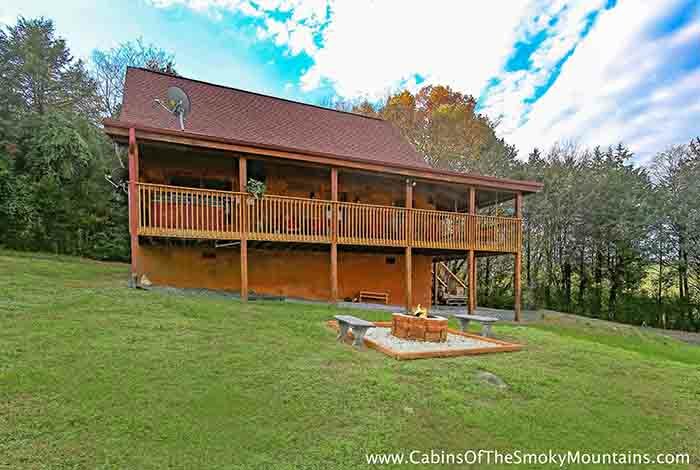 Bear Country is a 2 bedroom, 2 bath cabin sleeping 8 people comfortably in the midst of Pigeon Forge. 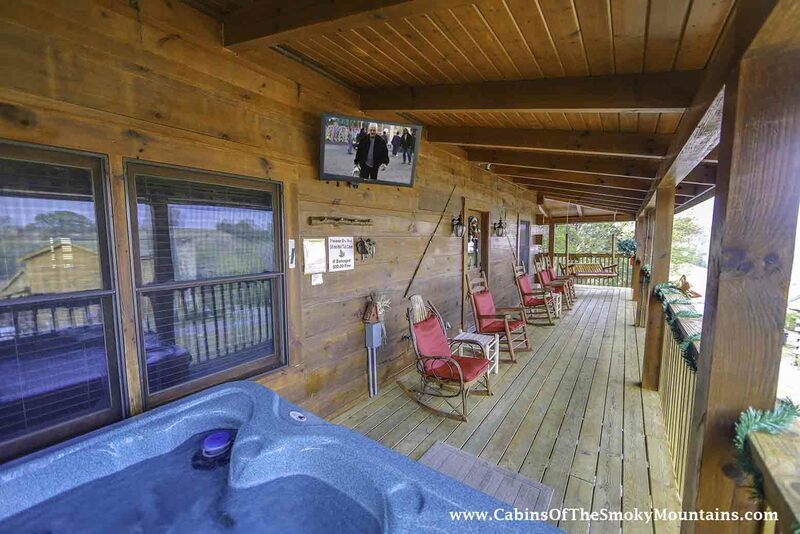 With only being 5 minutes from the strip of Pigeon Forge, you won't miss out on anything. 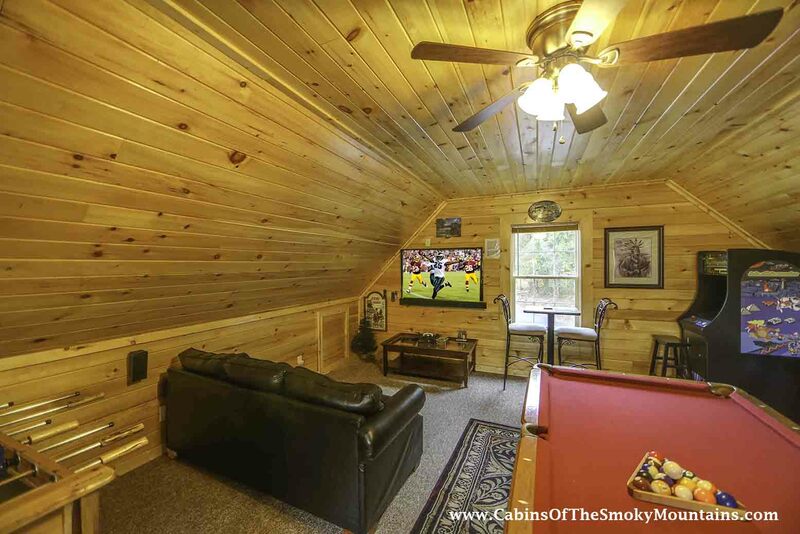 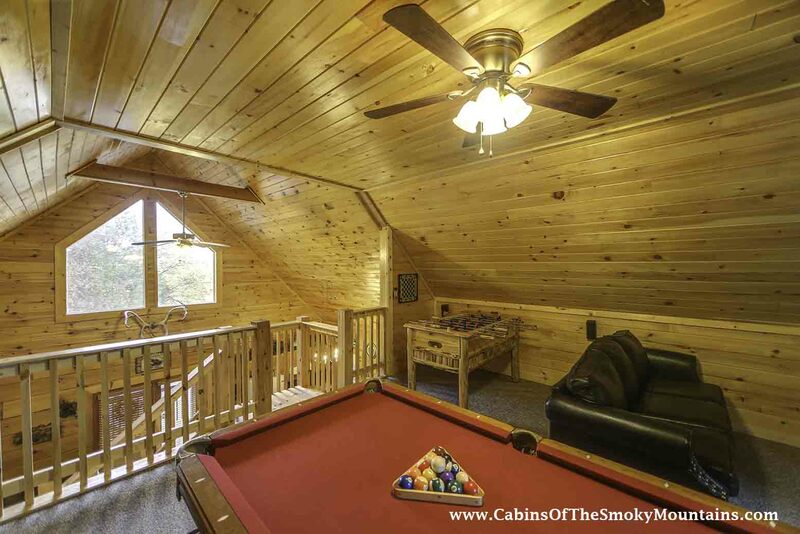 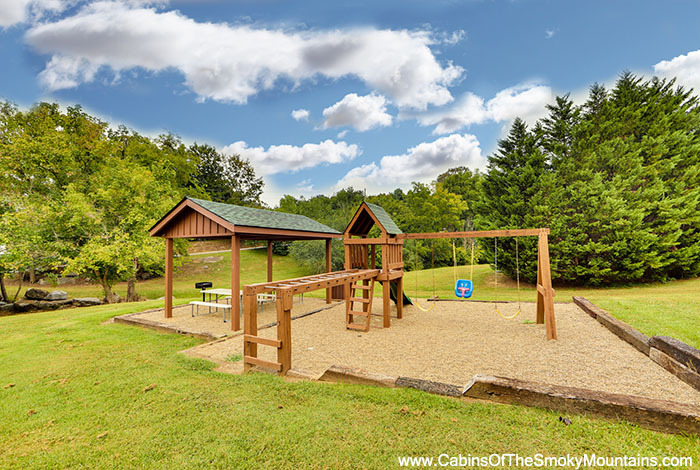 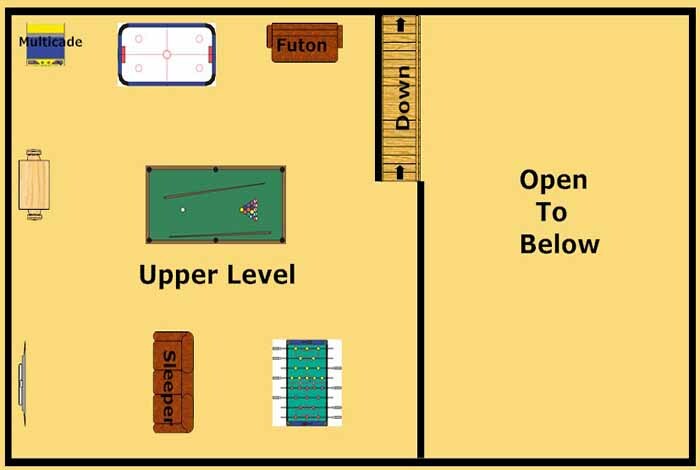 The cabin provides endless amenities for those of all ages to keep everyone occupied. 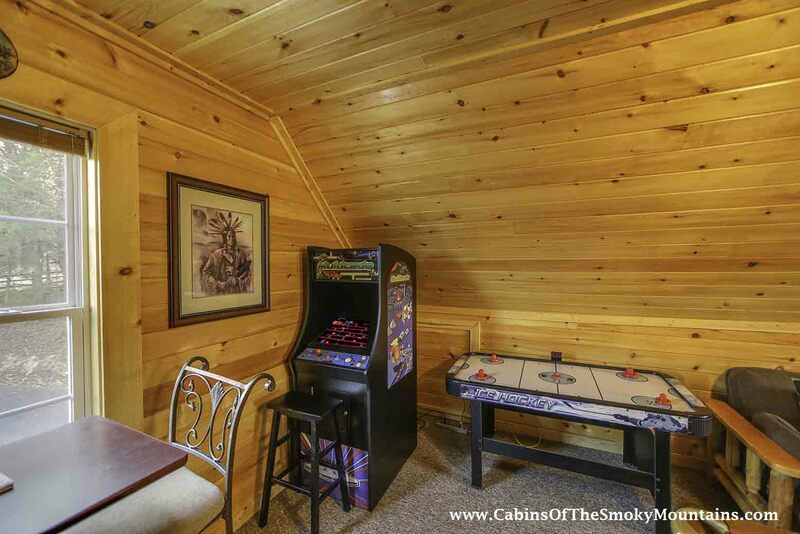 From a pool table, foosball, air hockey to Ms Pac Man, Donkey Kong, Galaga, and 57 other arcade games, the entertainment will never end. 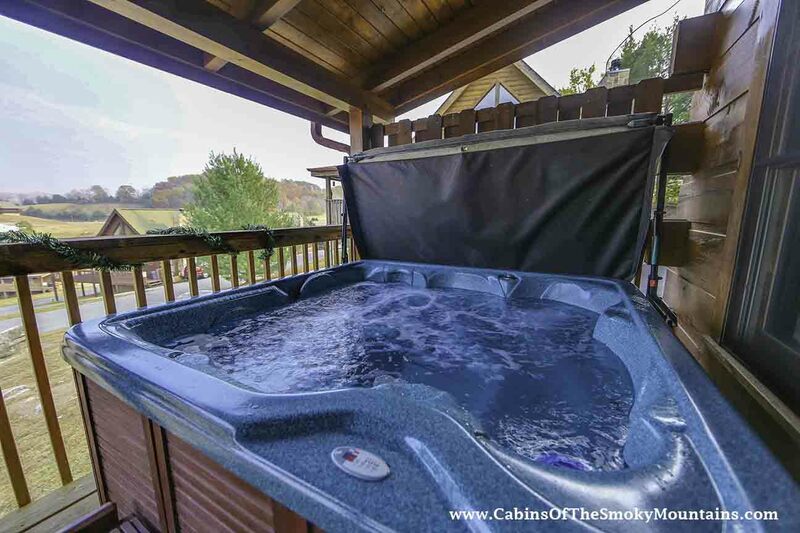 Enjoy your nights talking about your vacation around the outdoor fire pit or ensure relaxation on the deck sitting in the hot tub. 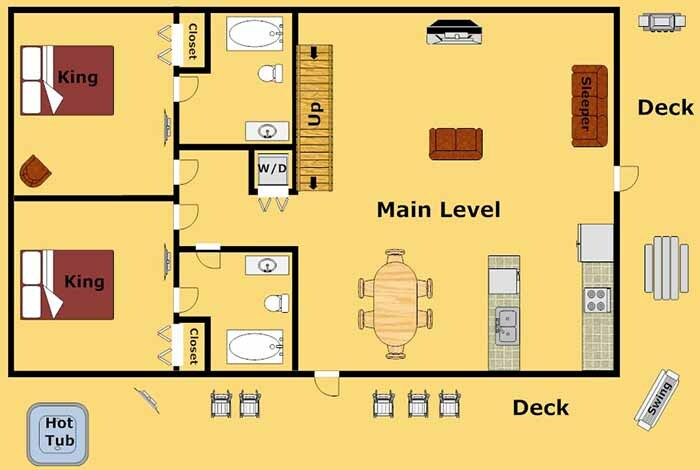 We all know how important high wifi can be, well worry no more as Bear Country will have high speed internet/wifi for everyone. 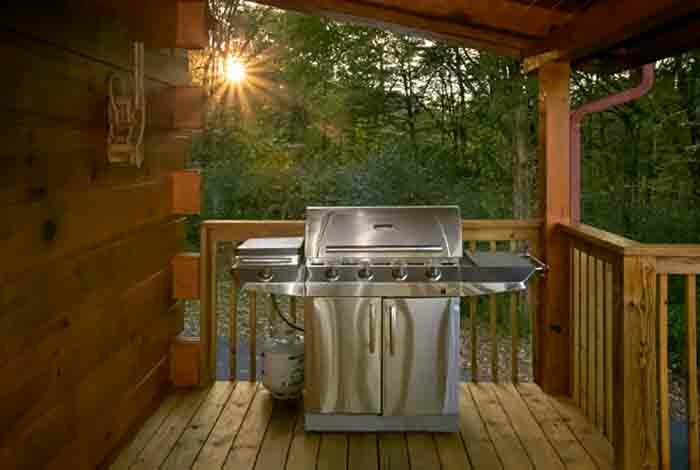 With everything offered, what're you waiting for? 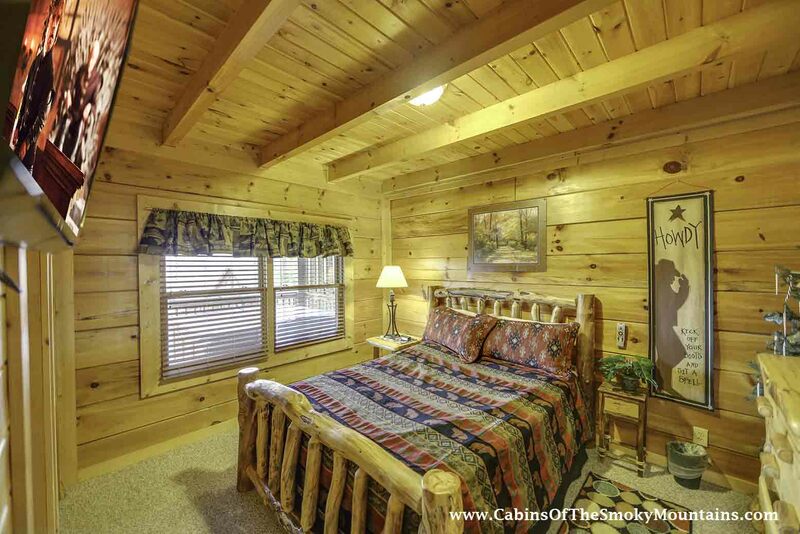 Book your next Pigeon Forge vacation with us at Bear Country.